Lumenis M22 IPL technology is one of the most significant advances in the recent history of non-invasive cosmetic dermatology. This extraordinary system eliminates the need for traditional surgery, using powerful lighting technology to stimulate the production of healthy blood cells and collagen, deep beneath the surface of the skin. The result is the immediate tightening of the skin, significantly contributing to improved skin tone, evenness and clarity. Even more impressively, treatments using the latest Lumenis M22 IPL can be performed in as little as 30 minutes, with absolutely no downtime and no unpleasant side effects to worry about. HSA Dermal Clinic is proud to offer an extensive range of treatments for common skin conditions and complaints, using cutting-edge Lumenis M22 IPL technology. Fast, affordable and suitable for the vast majority of skin types, we’re proud to work with the industry’s most advanced and capable skin treatment systems ever devised. Lumenis M22 ResurFx Laser PhotoFractional skin rejuvenation technology is no less than a revolution for the cosmetic dermatology industry. Not to mention, the thousands of clients enjoying newfound confidence and quality of life, having experienced the incredible benefits of the Lumenis M22 ResurFx Laser PhotoFractional system first-hand! A significant step forward in new-generation skin rejuvenation, Lumenis M22 technology gets to work deep below the surface of the skin. Stimulating the production of new collagen and elastin, the treatment effectively reverses one of the most common causes of many skin complaints – loss of supportive structure beneath the skin’s surface. Suitable for most skin types, Lumenis M22 treatments are so safe and simple to perform that they can be completed in the average lunch break. With no downtime or unpleasant side effects to worry about, you’re free to return immediately to your normal lifestyle and schedule. Contact the HSA Dermal Clinic team today to learn more about Lumenis M22 technology. Discover why the Lumenis LightSheer Desire laser hair removal system continues to set the highest possible standard for the cosmetic beauty industry worldwide. HSA Dermal Clinic is proud to work with the latest advances in laser hair removal technology, combining unprecedented effectiveness with comprehensive safety and the most reliable results. The Lumenis LightSheer Desire laser hair removal system is gentle enough for most skin types, yet has the power to remove even the most stubborn hair from anywhere on the body. This unique system combines cutting-edge laser hair removal technology with an effective cooling system, providing a comfortable experience from start to finish. Just a single session is often sufficient to make an incredible difference – the results of which are usually permanent. Quite simply, there has never been a more capable hair removal system for all purposes. Book your obligation-free consultation with HSA Dermal Clinic today to discuss next-generation permanent hair removal in more detail. The incredible GeneO+ 4 in 1 medical facial treatment is perhaps the single most effective alternative to the traditional surgical facelift. Using cutting-edge technology, this remarkable system is 100% non-invasive, yet is capable of immediately and radically rejuvenating the skin. GeneO+ combines four incredible technologies -OxyGeneo, Capsugen infusion with oxygenation, ultrasound and TriPolar radio frequency – in order to powerfully exfoliate, nourish and stimulate the skin to produce new collagen and elastin. This four-strong approach to skin rejuvenation has the capacity to rival the immediate and ongoing effects of a traditional facelift, without the need for invasive surgery. Here at HSA Dermal Clinic, we’re proud to work with the latest advances in GeneO+ technology for the benefit of our clients. Whether ready to go ahead or simply curious as to how GeneO+ gets the job done, we’d be delighted to invite you to our clinic to introduce you to our advanced technology. Call today to book an obligation-free consultation with one of our experts. The incredible Ultraformer III is arguably the world’s most advanced and sophisticated High Intensity Focused Ultrasound (HIFU) treatment system to date. Ultraformer III has the capacity to replicate the results of traditional surgical lifting treatments of the face, neck and elsewhere, without the need for any kind of invasive surgery. This extraordinary system replaces the usual knives and needles with powerful and meticulously targeted ultrasound waves, stimulating the production of healthy collagen and elastin below the surface of the skin. Rather than using synthetic substances or prosthetics to achieve the desired results, the Ultraformer III system instead relies on the body’s own natural processes. Incredibly, just a single treatment is often sufficient to last an entire year, with absolutely no unpleasant side effects or downtime to worry about. 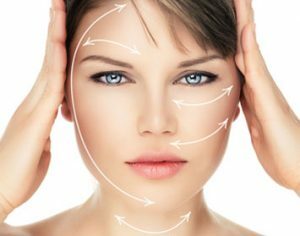 If ready to discover a safer, simpler and more affordable alternative to the traditional facelift, call HSA Dermal Clinic today to discuss the game-changing Ultraformer III system in more detail.